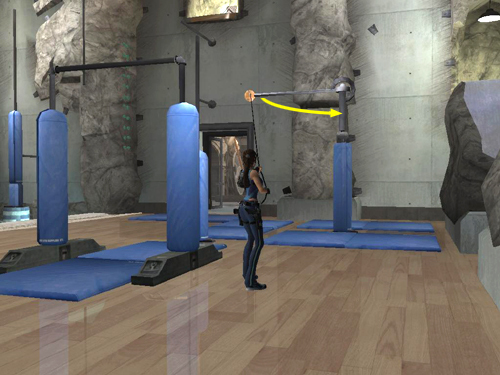 Use the magnetic grapple to position the movable horizontal bar near the door so the gold ball points away from the door. Run up the blue wedge-shaped mat and jump to grab the nearest horizontal bar. Swing around it and jump to grab the vertical bar ahead. Jump to grab the movable horizontal bar. Swing around it and jump onto the right side of the sloping rock. 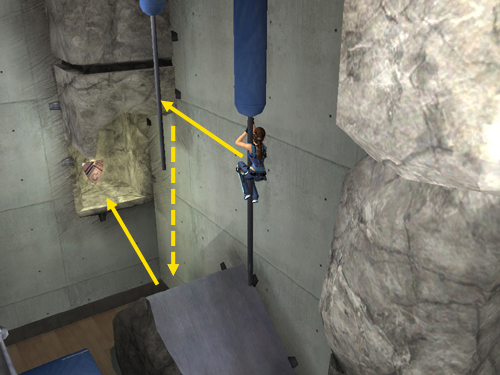 Before Lara slides off, jump to grab the crevice in the stone column. Jump straight up to grab the crevice above. 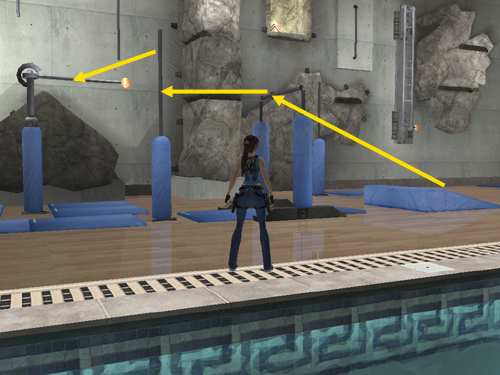 Adjust Lara's left-right positioning if necessary and jump back to grab the vertical pole hanging from the ceiling. Point the camera toward the next vertical pole and jump forward to grab it. Drop onto the sloping rock. 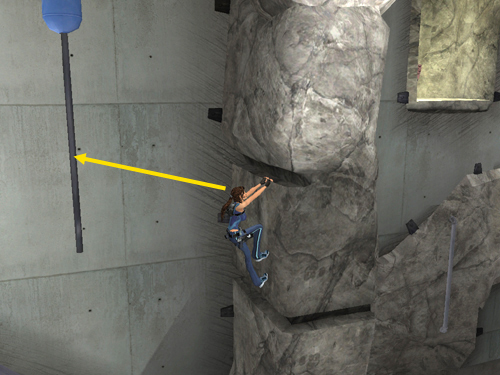 Before Lara slides off, jump to the alcove containing the bronze reward (10/16). NOTE:The correct camera angle is not shown in the screenshot above because I wanted to include several moves in the same shot. 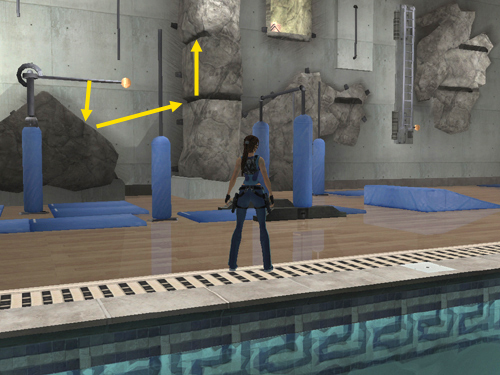 If you're having trouble here, see the Note on Movement Controls.